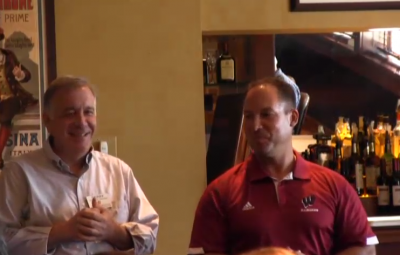 Westborough Rangers Football Coach Dave Tinglof was the featured speaker at the Westborough Rotary Club’s weekly luncheon at the Chateau on September 14, 2016. Tinglof shared his experience with and hopes for the Rangers, and spoke about the strong support he’s received from the school, team members and players, as well as the community. 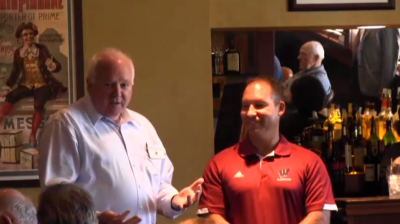 Watch Coach Tinglof’s presentation here. Want to get the latest from WTV? Subscribe to our newsletter and join our 1 487 subscribers. Get the latest on school and town events when they happen. Karen Henderson: Rec Dept Lil Dribblers Entertain the Crowd! Florance Azzariti: Rec Dept Lil Dribblers Entertain the Crowd!